The growing cult of the Omega Speedmaster is something we’ve not only watched with pride over the past several years, but have played an active part in. Investing in numerous historically important and just plain appealing pieces for our private collection. We also offer excellent examples for sale to Bob’s community from time to time. We’ve even weighed in on important issues like the patina faking that’s become an eBay epidemic. 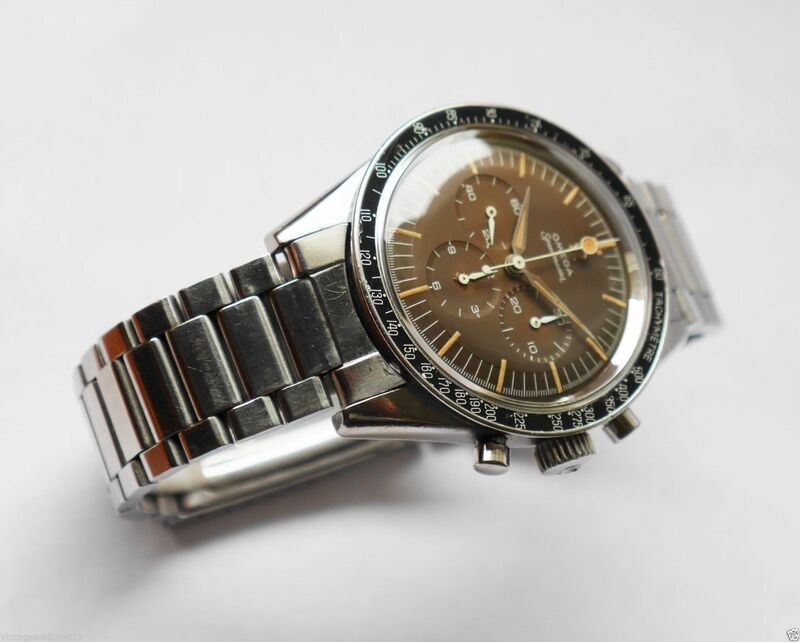 There are unscrupulous types who try to cash on the incredible prices vintage Moon Watches now command. 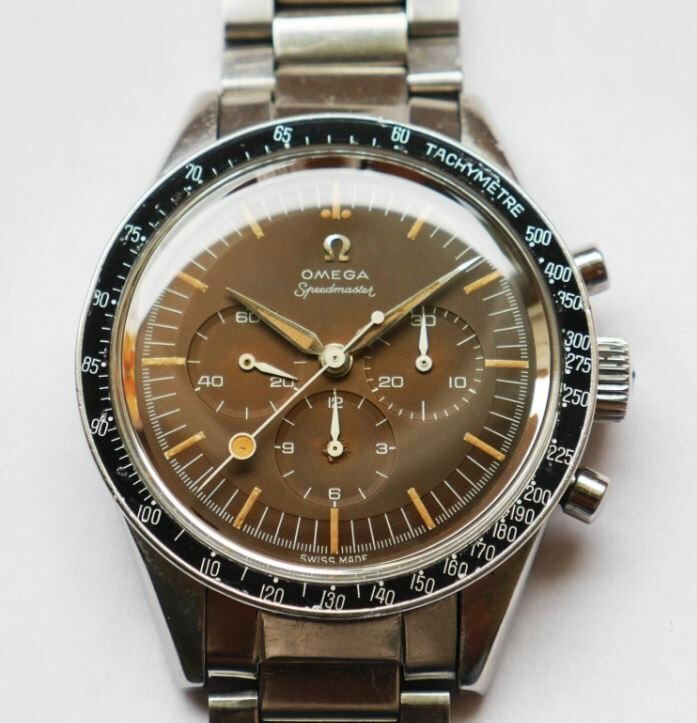 One measure of the Speedmaster’s amazing success among watch collectors is the evolution of “Speedy Tuesday”. Introduced by Fratello Watches founder Robert-Jan Broer who first used the #SpeedyTuesday hashtag on Instagram in 2012. It has since proliferated via the likes of Analog / Shift, watch guru Eric Ku, Condé Nast style arbiter Matt Hranek (aka @WmBrownProject) and many more of the faithful who post pics of Speedmasters of all vintages on the day in question. As of this morning, #speedytuesday clocked in with just under 42,000 posts. Enough to spur Omega to honor the phenomenon with a new limited edition “Speedy Tuesday” timepiece. Marketed via the Swiss watch brand’s Instagram account (948,000 followers) and initially available online only, it is limited to 2,012 pieces priced at $6,500 each. 2012 refers to the year Broer created the hashtag, and, subject to availability. 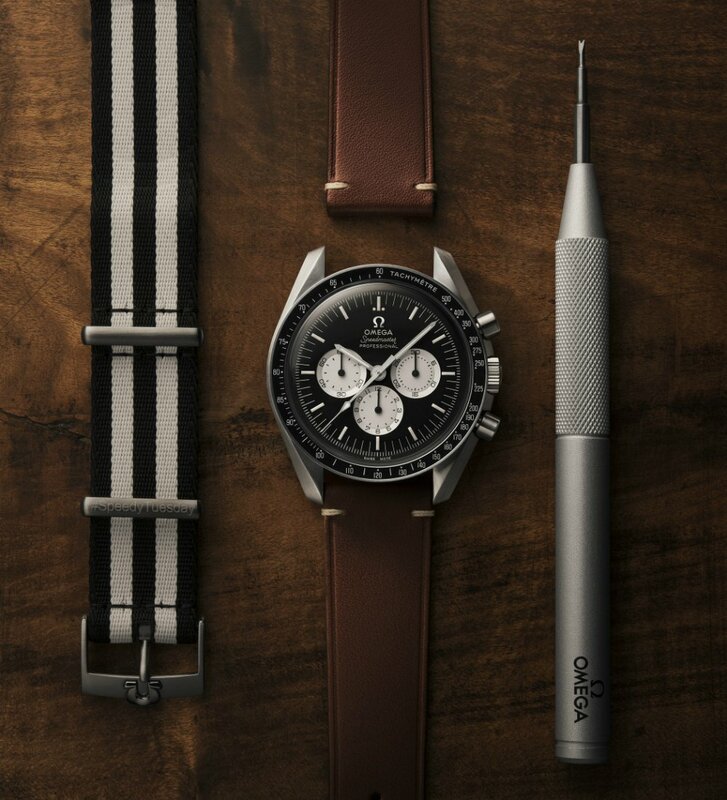 Omega says customers can specify the Limited Edition number they want on their watch. The actual timepieces will be delivered some time this summer. The new model aims to be the perfect combination of the Speedmaster’s most popular design features over the years. It’s directly inspired by the famed “Alaska Project III” model, created for NASA in 1978, with a brushed matte-finish stainless steel case and large radial numerals on the subdials. It also features the iconic “Reverse Panda” dial, first used in 1966, as well as a vintage Omega logo and luminescent markings. The back of the watch features a screw-in caseback stamped with the Speedmaster’s iconic Seahorse medallion. 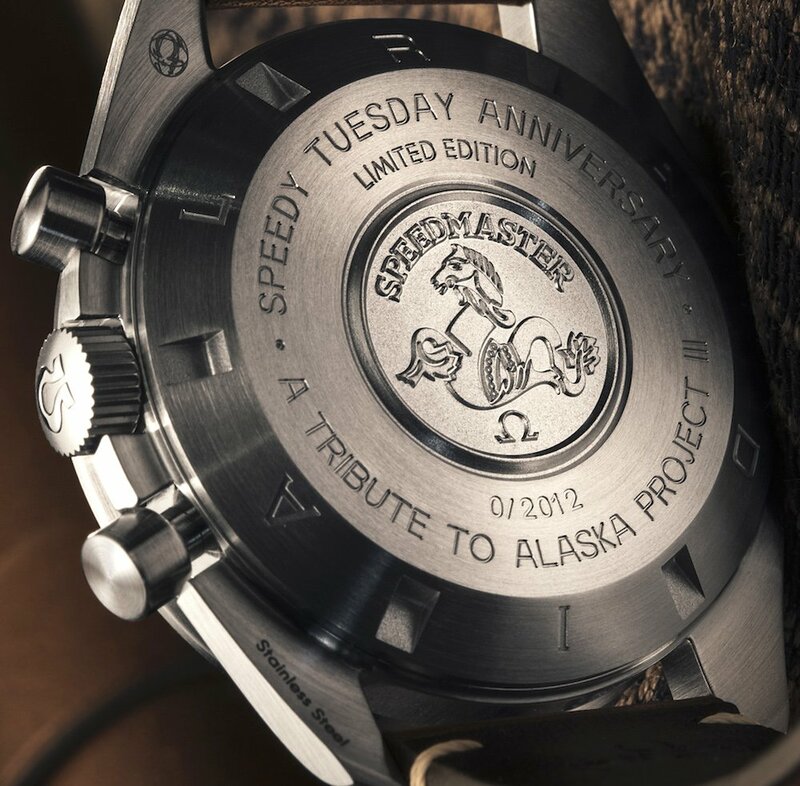 It is encircled by the words SPEEDY TUESDAY ANNIVERSARY – A TRIBUTE TO ALASKA PROJECT III. A handsome tribute to be sure. We expect it will sell out quickly as many reservations have already been made for the timepiece online. While the craze for vintage pieces is all very well, Omega needs to translate that into sales of modern watches in a larger way. Like the first step on the moon, this is one in the right direction. ***As we predicted, all 2,012 of the Speedy Tuesday pieces sold out in a record 4 hours, 15 minutes and 43 seconds.